Come experience Orange Lake's award-winning villas and enjoy your vacation in style. With 1,100 acres, activities are virtually limitless and include three pool complexes, an 80-acre lake, waterskiing, tennis courts, and beach volleyball. Orange Lake is known for its golf and offers a 36-hole miniature course, an 18-hole Arnold Palmer-designed championship course, a 27-hole resort course, and a lighted nine-hole par 3 walking course. Guests will enjoy the many planned activities and nightly entertainment at the resort. 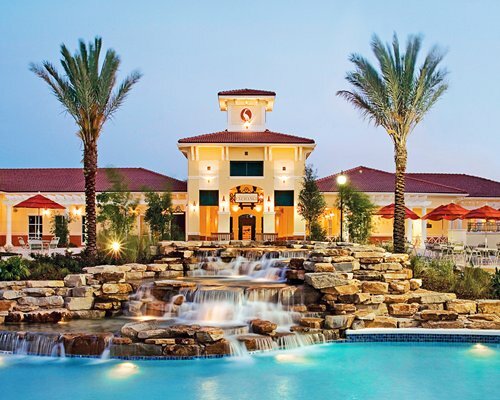 Just four miles away, Walt Disney World and many other Orlando attractions are easily accessible from Orange Lake.